On the work front, Kapil Sharma is currently entertaining his fans with 'The Kapil Sharma Show' on Sony Entertainment Television. 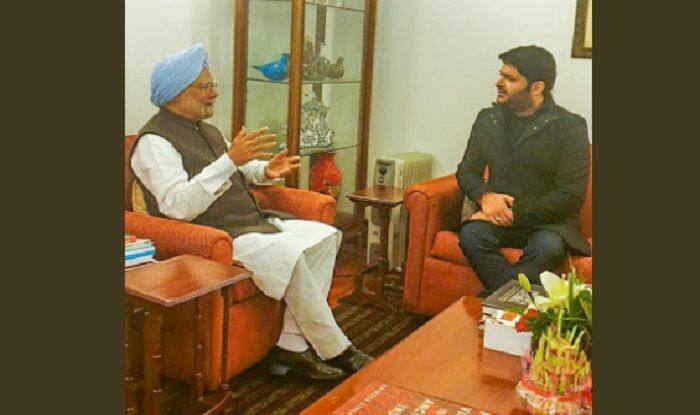 New Delhi: Ace comedian and Bollywood actor Kapil Sharma met former Prime Minister Manmohan Singh on Tuesday. Both Sharma and Singh, who hail from Amritsar said to have bonded over their cultural roots. “Thank you respected Manmohan Singh ji for the warmth, hospitality and a heart to heart conversation about our Amritsari roots,especially about our college and food. Was an honour meeting such a humble and simple statesman like you, and receiving blessings from ma’am. Regards,” tweeted the stand up comedian. He also shared a couple of pictures with Singh and his wife Gursharan Kaur. Kapil’s meeting with Manmohan Singh comes days after he met Prime Minister Narendra Modi at the inauguration of National Museum of Indian Cinema in Mumbai. He had also praised his sense of humour on micro-blogging site Twitter. On the work front, Kapil Sharma is currently entertaining his fans with ‘The Kapil Sharma Show’ on Sony Entertainment Television.